With Clean Air Day (21st June) having been and gone in Leeds the debate around the upcoming congestion charges for HGVs is once again in the spotlight. London is famously the city where congestion charges are required, but several major UK cities are required to implement clean air zones with congestion charges. To keep haulier and logistic professionals in the loop, we’ve collected the latest news of upcoming clean air zones. The congestion charges will apply to non-Euro-VI cab units, which refers to any cab manufactured before September 2015. The majority of cities needing to legally reduce overall air pollution will implement their plans in 2020. The Leeds clear air zone referred to as CAZ was planned to include all roads of the outer ring road with the motorways in the south serving as an area border. Since the initial proposal the council has been working with local businesses and the CAZ area has been reduced – though the exact area is yet to be confirmed. The daily charges for HGVs have been reduced from £100 to £50. 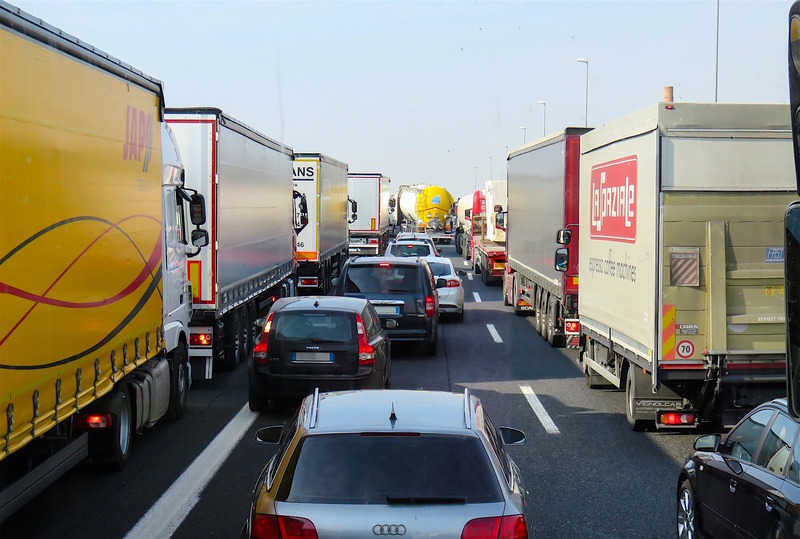 Leeds is legally required to reduce the air pollution of the city and while clean air zones have proven to be most effective there are local concerns of the impact on small haulier businesses. In the June 27th meeting an open platform to comment on Leeds’ CAZ plans was opened (Leeds CAZ comment platform) with comments and questions from this being addressed during the Leeds Clean Air Roadshow on July 3rd at Elland Road. Rather than setting a congestion charge, Glasgow is planning to completely ban pre-Euro VI lorries from its city centre by the end of 2022. This has caused quite a stir as it’s still unclear how Glasgow’s city council plans to support hauliers to achieve the Euro VI investment by 2022. The RHA is asking for more information on the 2022 ban. Birmingham’s CAZ area is planned for the city centre area that’s inside the Middle Ring Road (A4540). Anyone travelling from North to South along the A38 Queensway will also be charged, but there is an alternative route to avoid the congestion charge area between Dartmouth Circus and Bristol Road. The congestion charge in Birmingham is due to be between £50 and £100 for non-Euro VI HGVs, but unlike other areas previously mentioned the Birmingham CAZ area also has a congestion charge for non-Euro-IV private cars. Nottingham plans to start using the city centre clean air zone by early 2019, but HGVs won’t be charged until 2020. Like most CAZs of UK cities it will only apply to HGVs, buses/coaches and taxis. Nottingham council has faced criticism especially from taxi drivers as diesel cars were previously encouraged and the overall concern is that it won’t be long until taxi drivers are expected to switch to electric cars to avoid congestion charges. Southampton’s clean air zone will require non-Euro-VI lorries to pay a £100 congestion charge per day. Concerns have been raised about this charge being detrimental for small businesses, but also that it will encourage congestion. This is because some haulier businesses are likely to invest in smaller vehicles to avoid the congestion charge. This is expected to result in more vehicles to be on Southampton’s roads, and therefore have little to no effect on reducing air pollution in the city. The RHA is working with its members to ensure a smooth and manageable implementation of the Southampton congestion by 2019/20. Jan 2019 update: The proposed congestion charges likely to be dropped. Clean Air Southampton said that the council’s proposed solutions wouldn’t reduce emissions enough and simply put livelihoods at risks. A further meeting on how Southampton will meet the fine air particle limit will take place on January 16th. Derby’s clean air zone plans have been shrouded in controversy as Environment Minister Therese Coffey has criticised Derby Council of not committing to plans fast enough. As a response to this initial criticism Derby had committed to implementing a clean air zone for the city centre by the end of 2019. The congestion charge was planned to apply to HGVs entering the city centre within the inner ring road. Plans were also in discussion to expand this zone by 2025. Since then Derby Council has decided to postpone a clean air zone and instead explore alternative methods to reduce pollution within the city. Under the alternative plans, HGVs will have delivery restrictions within the city centre and be encouraged to deliver primarily at night. This model follows the London 2012 Olympic plans to reduce overall air pollution. Local fleet owners have welcomed these alternative plans and they are working closely with Derby City Council. The Ultra Low Emission Zone is set to replace the current T-Charge by April 2019. It will cover the same area as the Congestion Charging Zone (CCZ) and the charge for the area will apply 24 hours a day, 7 days a week. From October 2021 the area is due to expand to the North and South Circular roads. For HGVs the Ultra Low Emission Zone won’t change much – as the current CCZ only exempts Euro VI cabs from the daily charge, but it’s good to be aware of as clean air zones across the UK are likely to expand and change the vehicle requirements as technology moves on. Congestion charges are a tough addition to margins for logistics and haulier experts, but one option to save is to supplement your trailer fleet by hiring on an ad-hoc basis from Leeds Trailers. When jobs come in that need extra trailers as a one-off, don’t forget that we’re just off the M62 near Leeds (but not in the congestion charge zone). Reduce investment in your trailer fleet and hire additional trailers to meet the peaks and troughs of demand from the ever-flexible Leeds Trailers. Contact Neil today on 01924 420 646 or fill in our online contact form.